To encourage international students (Mainland China, Hong Kong, Macao SAR students are not eligible) to undertake Huayu courses in the Republic of China (Taiwan); in order to provide them with opportunities to increase their understanding of Taiwanese culture and society, and to promote mutual understanding and interactions between Taiwan and the international community. PurposeTo encourage international students (Mainland China, Hong Kong, Macao SAR students are not eligible) to undertake Huayu courses in the Republic of China (Taiwan); in order to provide them with opportunities to increase their understanding of Taiwanese culture and society, and to promote mutual understanding and interactions between Taiwan and the international community. Award ValueA Monthly stipend of 25,000 NTD. Durationa.Huayu Enrichment courses will include a summer term (June and July or July and August), along with short term classes, which may last 3, 6 or 9 months to a year respectively. b.With the exception of the summer classes, in principle, the duration of the scholarship is from September 1st to August 31st of the following year. If recipients fail to come to Taiwan for enrollment during the designated time, they will forfeit their right to retain their scholarships. c.Scholarship funding will become effective on the date of the recipient’s enrollment. Scholarship funding will end according to the scholarship’s expiration date or if the scholarship is revoked. 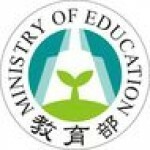 Available ScholarshipsThe Ministry of Education will consult the annual budget and provide available openings for the next year to embassies, missions, representative offices and other overseas agencies authorized by the Ministry of Foreign Affairs before December 31st. a.Is an overseas Chinese student or a national of the R.O.C. b.Is currently registered as a student at a Mandarin Language Center or has sought a degree from a university or college in Taiwan. c.Has already received a HES or a Taiwan Scholarship, in the past. d.Is an exchange student to Taiwan, during the scholarship period. e.Is currently receiving financial benefits from the Taiwan government or another educational institution. ApplicationApplicants need to submit the following documents to local embassies or missions before the announced deadline (In principle, the yearly application period is from February 1st through March 31st. However, the actual application period will be in accordance with the general regulations of the local Taiwan Representive Offices). a.An application form (see appendix 1; provided by local embassies or missions). b.A photocopy of his/her passport or any other documents that can verify the nationality of the applicant. c.A photocopy of the certificate of the highest credential and transcript. d.A photocopy of the applications to the Mandarin Language Center. e.Other documents required by local embassies or missions. Selection Procedurea.As stated in the embassies and missions announcement, a document review or personal interview will be conducted. b.If a successful candidate waives his/her right to a scholarship before arriving in Taiwan, his/her position will be filled by the next candidate that has been selected by the local embassy or mission. The deadline is December 31st. Payment ProceduresMandarin Language Centers should follow the schedule and procedures stated below to request reimbursement and verification from the agencies appointed by the MOE. a.This scholarship is granted twice a year. The first payment, which is due on September 30th, covers the period from September to December and summer classes. The second payment which is due on January 15th covers the period from January to August. The verification process to grant funding should be completed before putting in another request. The recipient list and the receipt made out to the MOE from the Mandarin Language Centers are mandatory for verification purposes. If unable to apply in time for their grant, the Mandarin Language Centers should pay the monthly allowance in advance. b.Universities should verify grants twice a year, in accordance with the MOE procedures, to ensure that recipients have been paid. The first verification is due on December 15th and covers the period from September to December and summer classes. The second verification is due on September 30th and covers the period from January to August. A scholarship budget report and income and expenditure statement signed by a designated accountant and the president (see Appendix 2) are required for verification. Unused funds should be returned. The original receipt should be retained by the universities for their audits. c.The request, payment and verification of the grant should comply with the Ministry’s subsidy and commission expense verification guidelines. Terms and Conditions for Recipientsa.aThe recipient should study at a registered Mandarin Language Center approved by the MOE. b.The recipient should apply for admission according to the regulations of the center. Once admitted, the recipient should send a photocopy of the admission letter to the local embassy or mission before June 30th for confirmation. Recipients who do not send their documents before the deadline will be disqualified from the scholarship selection process. c.The recipient should undertake at least 15 hours of language courses each week. This does not include cultural visits, speeches, and other self-learning curriculum or activities. d.After the first semester (quarter), recipients of a maximum one year scholarship can request a one time only transfer to another Mandarin Language Center with permission of the original Mandarin Language Center. Recipients of the summer classes, 3 months, 6 months or 9 months scholarship are not allowed to apply for a transfer. e.If the recipient concurrently accepts scholarships from other sources, he/ she will lose their placement in the scholarship program. He/she will also have to return the funds granted for those months that he/she received multiple scholarships. f.The termination and cancellation of a scholarship is based on regulations specified by each individual Mandarin Language Center. Mandarin Language Centers have the right to terminate or revoke a scholarship if the recipient’s academic performance, moral character, or attendance record are not up to their standards. g.Recipients of a six month or longer scholarship are obligated to join the National Health Insurance Program. Before joining, recipients should purchase student accident insurance and other relevant insurance. Insurance fees can be deducted by the Mandarin Language Centers from the monthly stipend before granting it to recipients. A.The Scholarship will be suspended for one month, if one or more of the following conditions occur. a.The Scholarship will be suspended for one month, if the recipient has missed 12 hours or more of their language course within a single month. b.Starting from the first semester (quarter), if the recipient fails to obtain the specified standard score by the university (an average of 80 points out of 100), his/her scholarship will be suspended for a month in the next semester (quarter). c.The recipient of a nine month or longer scholarship without a Level 3 or above TOCFL certificate within 2 years prior to enrollment must hand in the cerfificate or transcript one month before the end of the scholarship term. If he/she fails to do so, the scholarship will be suspended for one month. B.Scholarship Cancellation, if one or more of following conditions occur. a.The recipient fails to obtain the standard score (an average of 80 points out of 100) for two consecutive semesters (quarters), he/she will be disqualified from receiving the scholarship. b.Any recipient missing a final achievement score for any semester (quarter) will be disqualified from receiving the scholarship with the exception of a serious illness or accident. c.The recipient will not continue to receive the scholarship if he/she violates R.O.C. law. d.The scholarship will be suspended or revoked if the recipient violates University or Mandarin Language Center regulations. Terms and Conditions for Mandarin Language Centers under Universities.a.Mandarin Language Centers should accept international students according to their own criteria and notify the applicants before June 15th. b.Mandarin Language Centers should arrange for recipients of a nine month or longer scholarship to participate in TOCFL for Level 3. The recipients will have to pay for their own test fees. c.The Mandarin Language Centers that accept a transfer scholarship recipient student should contact the agencies appointed by the MOE, to request for the remaining scholarship grant, and to notify the related embassy or mission, the recipient and the MOE. The Mandarin Language Center that authorized the transfer should return the unused funds to the agencies appointed by the MOE. d.Scholarships that have been revoked must follow these regulations: the Mandarin Language Center should clearly state the reason and the effective date of the termination or suspension, the unused scholarship grant should be returned to the agencies appointed by the MOE. In the meantime, the center should notify the Bureau of Consular Affairs, the National Immigration Agency, the embassy or mission concerned, the recipient affected, the agencies appointed by the MOE, and the MOE within 2 weeks. e.After the recipient has completed the registration process, the Mandarin Language Center concerned should either hold an orientation session or employ alternative methods to explain to the recipient the regulations related to the suspension and cancellation. It should also grant the monthly allowance on time and pay attention to any suspension or cancellation of the scholarship. f.Mandarin Language Centers should allocate an office or staff to keep in contact with recipients, providing guidance and assistance to them, regarding their schools and for recipients’ daily lives. g.The language center should arrange at least 15 hours of language courses each week for recipients. This study time does not include cultural visits, speeches, and other self-learning curriculum or activities. Terms and Conditions for Embassies and Missionsa.Embassies and missions should issue official Grant Certificates to recipients after receiving the admission letter from the recipient before the deadline (see appendix 3). Recipients who are not admitted into universities or MOE affiliates will automatically be disqualified. 1.April 30th for the summer class. 2.July 31st for other terms. 3.All recipient information should be uploaded to the Taiwan Scholarship and Huayu Enrichment Scholarship Information Platform no later than July 31st. c.Embassies and missions should actively promote the scholarship program, offer information regarding the Study in Taiwan program and help with the application and selection process. Embassies and missions should also help recipients with their visas and remind them to sign the Huayu Enrichment Scholarship written promise and understanding sheet (see Appendix 5). d.Hold orientations to explain related regulations, important regulation notices for the Alien Residence Certificate (ARC), the illegal employment regulations, along with additional information that may be needed to live and study in Taiwan. e. Embassies and missions should stay in contact with recipients who have completed their studies and who have returned to their home countries, for the purpose of holding meetings and events that allow recipients to share what they have learned while living in Taiwan and how they felt about their study experience for future reference.